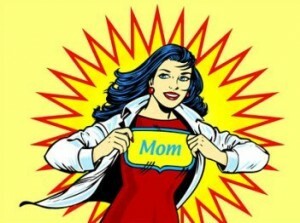 It’s Moms Weekend at Oregon State University! Here come the moms! ic Mom Wisdoms (I use the term loosely), along with how actually listening to them may be beneficial for you in your education and career. If you disagree, let me know. And add your own—what did Mom (or Dad, or Other Parent) say to you? The point is, non-verbal communication is exceedingly important, especially when your non-verbals don’t match what you’re saying. Some body language is not in our control, but a lot of it is. Stand up straight and connect the confidence of your body to the confidence of your words. Ever heard of power posing? Sometimes, I hate that this is true. However, it can be to your advantage to believe this: if life isn’t fair, that it will sometimes be unfair in your favor. If you’re not looking for ways to “screen yourself out” of opportunities that may otherwise seem out of reach (you know the thoughts: “I’m not good enough for this” “I can’t do this” “Everyone else is better qualified”), you may grasp a lucky chance rather than let it slip away. So perhaps this can be your mantra: Life’s not fair, and I’m so glad! Uggh, yes. Thanks, Mom. I’m aware that it doesn’t grow on trees. However, I am going to behave as though it does, by spending my unsubsidized loan money as if it’s regular money, and using credit cards for new shoes (again), and forgetting, for years at a time, to actually use my savings account . . .
Get comfortable living within your means and thinking about your future self realistically and you’ll end up far better off in your options for education, career, and lifestyle flexibility. Need some help talking education finances on campus? Connect with these fine folks. But in all seriousness: organization and being able to utilize a structured and simple system to keep track of your goals, obligations, tasks and activities is essential to being effective in any job—whether you are delivering pizza or running an international corporation. Starting with getting your clothes off the floor at home is good practice. In this case the decision-making process is usually deciding between two choices you don’t really want to do as a kid: clear your dishes or lose a privilege, for example. However, it’s still a choice and needs you to make a decision. Decision-making is one of the top skills employers look for in potential employees. Being able to understand information and draw reasonable conclusions in a timely manner will allow efficiency in your work as well as inspire confidence in your clients and employer. It’s also an important skill in relationships, sports, crises, providing leadership, grocery shopping, being a good traveler . . . .
No. Always wear clean underwear. Period. You don’t need reasons for why. Risk-taking is important. So is planning ahead and assessing your strategy without going along another person’s path without thinking. I hear this in my office all the time: “What should I do with this degree? Should I take Job A or Job B? What is everyone else doing with this degree?”. I think these are useful questions. I also think that they are completely missing the point of being a person. As soon as “should” is added to a statement or question, it implies that there is a proper way of doing something. As if the people who’ve already gone that direction have created a “one direction”. If jumping off the bridge means you land in a (safe) world full of interests and activities and people that are awesome for you, then, by all means, jump! If not, it’s time to reassess and trust that that particular bridge may not be the one for you. A lot of our choices in life are driven by core values and needs that were developed very early on in life. Being mindful of those and it will be difficult to take opportunities that aren’t a good fit for you. Need some help defining your values? Look here. hat mom love in times of doubt and feedback drought. Sometimes you have to play the game and follow directions, whether you agree with the reasoning or not. I truly believe that those who become the most successful, in however you define success, are not only hard-working and committed to their goals, but who are open to following and leading. Get away from being defined with words like “entitled” and “lazy” by meeting expectations without complaint. Show up, keep your eyes and ears open, and do what you’re told. The ability to do all three will help you build relationships and a positive reputation with whomever you work for and with. 2. If you don’t know how to operate it, find someone who does or leave it alone. 3. If it smells, don’t step in it. 4. If it’s broken, fix it. 5. If you make a mess, clean it up. 6. If you use it, take care of it. 7. Get up early. Go to bed early. 8. Some things are out of your control. 9. With every season comes change. Get used to it and learn how to adapt. 10. Get your hands dirty. Let someone else do the sitting around. Want to know what’s going on with your mom? Give her a call.